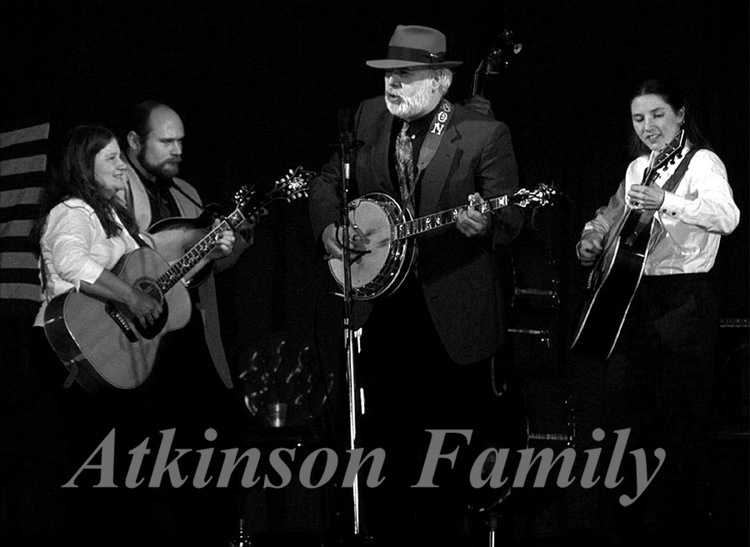 Honed in the iron-laden foothills of the Adirondack's Western reaches, the Atkinson Family Bluegrass Band has a sound reverberating with the traditions of Bill Monroe's music, while at the same time incorporating new grooves and new tones. This band swings and drives through Stanley Brothers-style mountain songs about life in the rural country, bitter bluegrass hollers about lost love and betrayal, gospel songs lamenting lost souls and spooky minor key murder ballads. In addition to performing a range of bluegrass standards and contemporary tunes from Del McCoury, Gillian Welch, Iris Dement and the Grateful Dead, the band churns straight ahead with its freight train rhythm pulse on a host of original songs. Dave Nichols & Spare Change is a North Country favorite comprised of seasoned musicians from the United States and Canada. Dave is noted for not only his fun and friendly stage antics, but as the organizer and provider of various instrument workshops. Dave Nichols is known nationally as a master inlay artist and instrument maker, but he also loves to play bluegrass music. 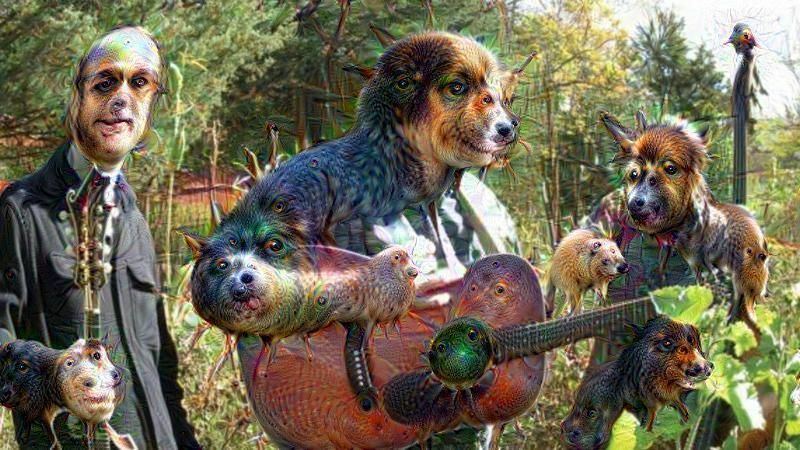 SECOND STAGE Founded in 2000 by mandolinist Greg Butler and guitarist Kim Lawrence Humphrey, Free Grass Union has performed its blend of traditional american music with progressive and often psychedelic improvisations on vast stages across the northeast. 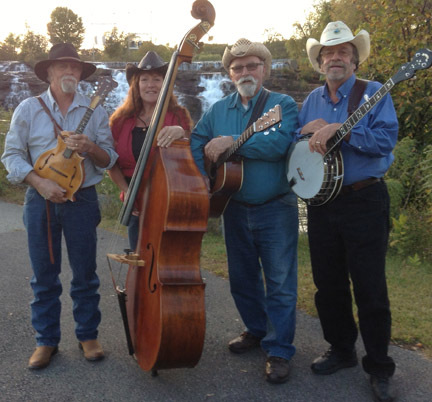 Often described as "not your father's bluegrass band", the trio comprised of Greg and Kim alongside longtime bassist Mitch Erdman add a wide range of musical influences to their cosmic bluegrass concoction. 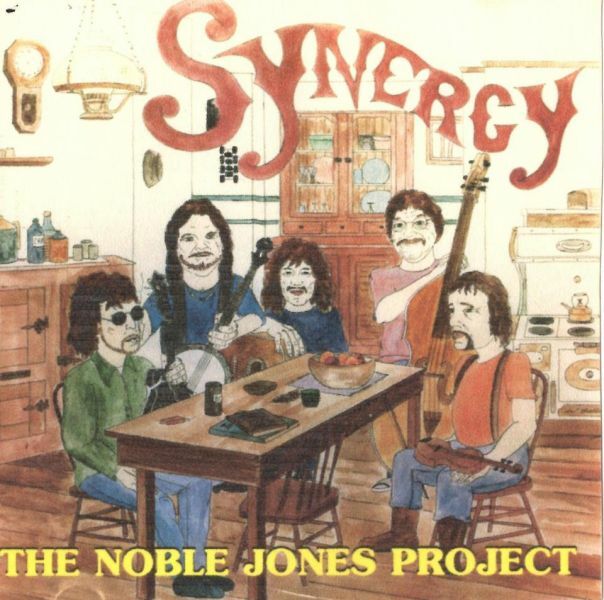 For over ten years, the band has been no stranger to the "jam band" festival circuit. Free Grass Union has been regulars at music festivals of the northeast such as Jibberjazz, Sterling Stage, NYS Harvest Festival and Bucks County Bluegrass Festival to name a few. SECOND STAGE What started as a routine experiment has turned into a revolutionary project, henceforth known as Hickory Project. Formed in 2001, the band features hard–driving traditional and original acoustic music deeply rooted in bluegrass. 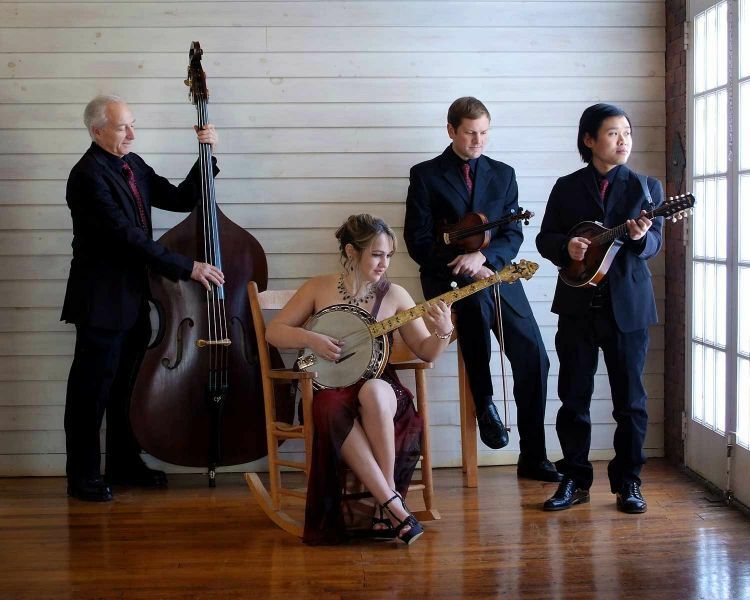 Hickory Project is a powerhouse of musical prowess with the expert licks of National Mandolin Champion Anthony Hannigan, Jillian Hannigan, Ed Lick, Steve Belcher, and Josh Sudigala. Hickory Project is globally acclaimed. They have captivated audiences throughout Europe and the US, and even as far away as Australia. As musical ambassadors Hickory Project is taking their music worldwide. Just Passin' Thru has been entertaining folks all around the Northeast, both on stage and at private parties, since it's formation in 2012. This band's playlist reaches back in time to classic old country & traditional bluegrass, with some gospels and stage humor in the mix. Known for their hard-driving instrumentals and tight vocal harmonies, this group of friends enjoys playing music and entertaining their audience...and it shows. 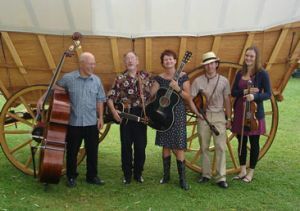 Members are Brenda Brill Vitek-upright bass, vocals; Tary Jesmonth-guitar, vocals; Jim Bevins-mandolin, vocals; and Al Queen-banjo, guitar, vocals. Michelle Canning & Rough Edges is an award-winning bluegrass band based in Eastern Massachusetts. 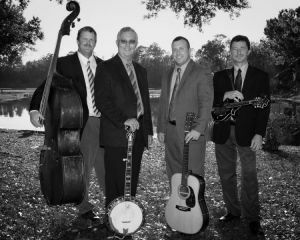 Their music can be characterized as fast-driving bluegrass, contemporary ballads, and original material. Michelle Canning is the 2009 New England Banjo Champion and has been receiving awards for her banjo playing since she was eleven years old. She is joined by an incredible line-up of musicians each adding their own personal touch to the music. Michelle Canning and Rough Edges provides the audience with not only a concert, but an energetic show that you do not want to miss! 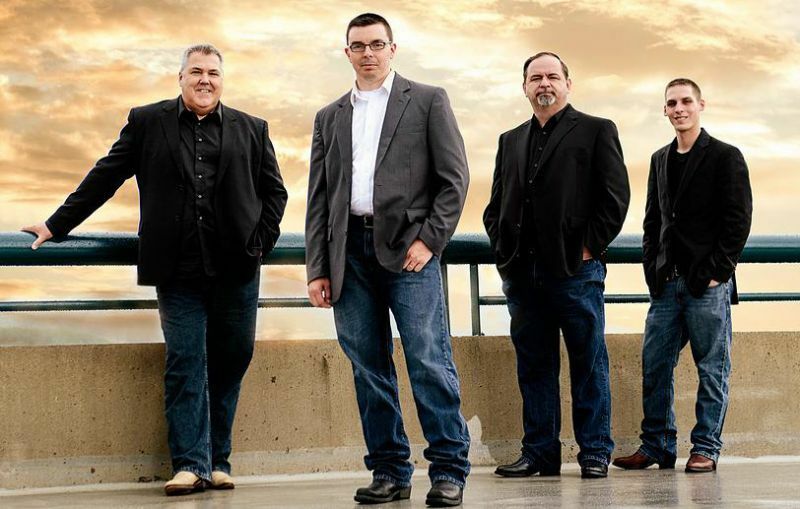 Emerging as one of the hottest bluegrass bands from Central Pennsylvania is Remington Ryde. 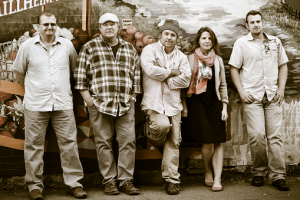 The band was formed in November of 2002 with the sole purpose of promoting bluegrass music throughout the state. They continue to grow in popularity, winning over crowds throughout the country. They have released four full length albums and one single, "I'll Wait for You," that has been played by bluegrass radio stations throughout the country including Sirius Bluegrass. Seth Sawyer is the gentle giant of New England bluegrass music. His soulful yet powerful tenor voice combined with the strength of his conviction in the lyrics he sings evoke a powerful response in those who know his work. As a singer/songwriter who didn't grow up in the music, his tunes and lyrics hit just the right note. 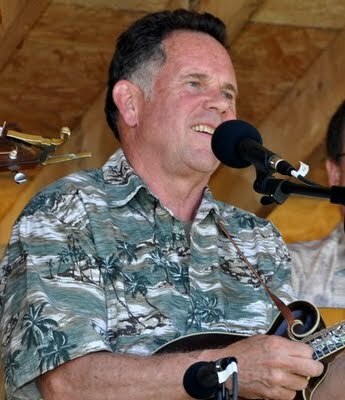 Seth's songs have been recorded by The Gibson Brothers, David Davis & the Warrior River Boys, and the Pine Hill Ramblers.Fans in New England call for him to sing his own songs as well as his versions of bluegrass and old time country classics. A legend in the northeast, Smokey has endeared himself to bluegrass and country music lovers for over 50 years. He is a walking anthology of country music, living his slogan, "Keep the country in Country Music." Few solo acts can hold a crowd's attention the way Smokey can. When Smokey sings, he will have you crying one minute and laughing the next. 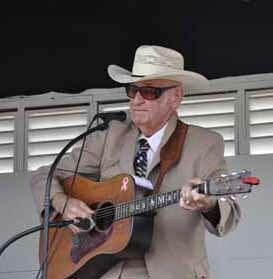 Smokey has appeared with hundreds of performers over the years including, Yodeling Slim Clark, Earnest Tubb, Merle Haggard, Willie Nelson, and our own Don Hudson. SECOND STAGE The Dishonest Fiddlers are an emerging acoustic folk band from Northeastern Pennsylvania. 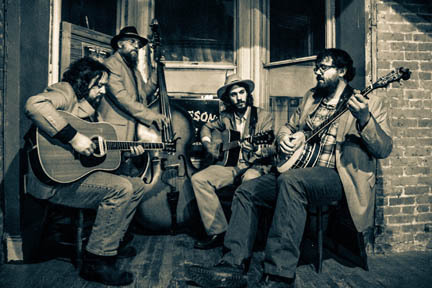 Bluegrass and Jug Band music are obvious influences that have helped to forge and inspire their unique, homegrown sound while providing a solid musical foundation. Socially conscious songwriting and old time sensibilities will open even the most discerning ear. Formed in 2012 around the music and writing of Dave Brown, The Dishonest Fiddlers grew progressively and organically into what they are today. Solo and duo gigs were not uncommon in the early stages with Dave (Guitar and Harmonica) and Josh Kulick (Banjo and Dobro), or Dave and Ron Penska (Bass), playing gigs throughout Scranton and the surrounding areas. Eventually the three of them steadily joined forces to become the earliest incarnation of The Dishonest Fiddlers. As the original music of Dave began to mature and progress, the band realized a fourth member and second guitar would add just what the band was looking for. 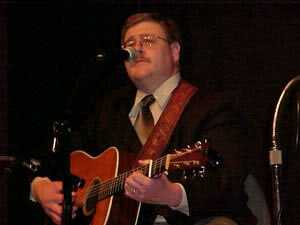 After many trials and errors, Patrick Casper was invited to a gig and right away the band was set with its current and final lineup. In November of 2015, The Dishonest Fiddlers recorded their first full length album, due to release March 10th 2016, and continue to write and tour around Northeastern Pennsylvania. 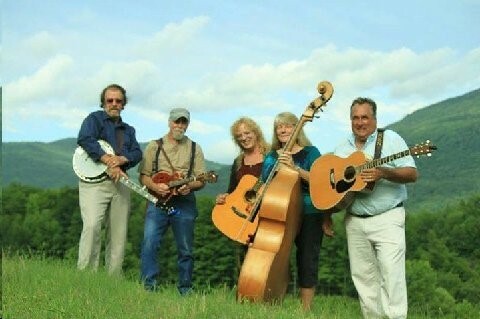 Featuring seasoned musicianship and improvisation, this Maine-based band offers a unique interpretation of traditional bluegrass and folk music through original and melodic compositions that showcase the wide range of their eclecticism and talents. The Gather Rounders' dynamic instrumental textures take flight with grace while rooted in the soulful vocals of lead singer-songwriter, Caroline Cotter. Along with banjoist Ron Cody, flatpicking guitarist, Lincoln Meyers, fiddler, Eric Lee and upright bassist, Wendy Cody, this group is a powerhouse quintet. 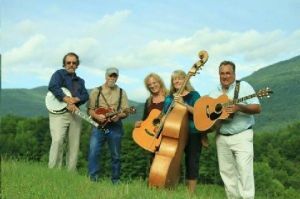 The band came to life in 2013, drawing from the members' shared love for all things acoustic, folk and bluegrass at a weekly gig at Gather Restaurant in Yarmouth, ME. With a repertoire of original bluegrass and folk and creative covers, the band has expanded to an ever-widening audience and bring a passionate energy to the stage. 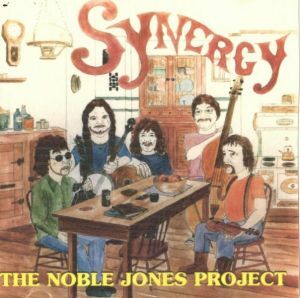 Individually and collectively they've shared stages with the likes of Darol Anger, David Wilcox, Tony Trischka, Peter Rowan, Bill Keith, Loudon Wainwright, John Gorka, Rushad Eggleston, and Jesse Brock, among others. 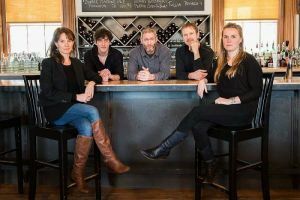 Together, The Gather Rounders make a brand of modern folk and bluegrass music rooted in tradition yet infused with inventive verve." Tony Holt and The Wildwood Valley Boys have become a favorite in bluegrass music. 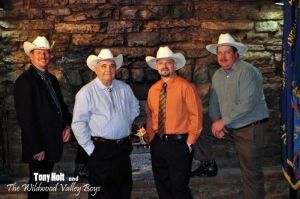 Originally formed in 1992 as The Wildwood Valley Boys, (named after the Holt family farm in Milan, Indiana) the original members of the band decided to follow separate paths and in 2006, the only original Wildwood Valley Boy, Tony Holt, decided to rename the group Tony Holt and The Wildwood Valley Boys. Current members include, Andy Disney, Jeremy Blankenship, Aubrey Holt, Tom Patrick and Tony Holt Though Tony Holt and The Wildwood Valley Boys have seen many band member changes, they have kept that great harmony as one of their strongest attributes. That, along with the many original songs penned by the Holt clan. Bluegrass fans roar with applause after being taken back to a favorite memory or a good time brought on by the rich harmonies of the band. 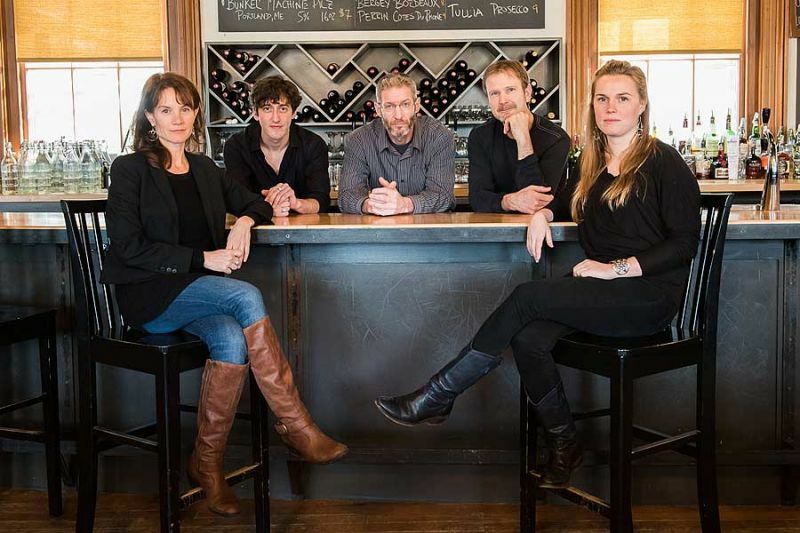 Zink & Company consists of four talented musicians with years of combined recording and performance experience. Joining guitarist & lead vocalist Corey Zink are Larry Neu, banjo & vocals; John Roc, mandolin & vocals; and Ray Evans, bass & vocals. They have graced the stages of numerous festivals on the east coast and Canada, entertaining audiences with original and traditional songs executed in vibrant harmony. 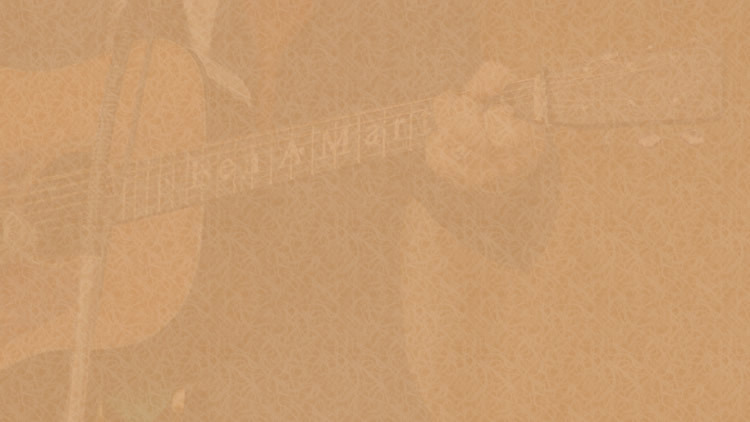 Zink & CO. is firmly rooted in the traditions of the early decades of bluegrass and country music. The band can be counted on for their unique and dynamic renditions of some of your old favorites. 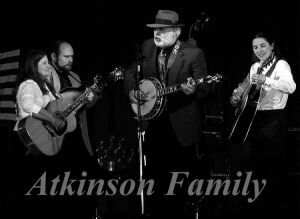 The group delivers powerful musicianship combined with lonesome harmonies blended with Zink’s smooth lead baritone vocal, which sounds just as much at home with a driving bluegrass tune as it does a tear-filled country weeper. Zink sings from the heart and the majority of his original tunes have been written about personal experiences or stories of love and heartbreak. The Zink & Co. members have come together to create the perfect recipe of entertainment with a tight, cohesive sound that you are sure to love.